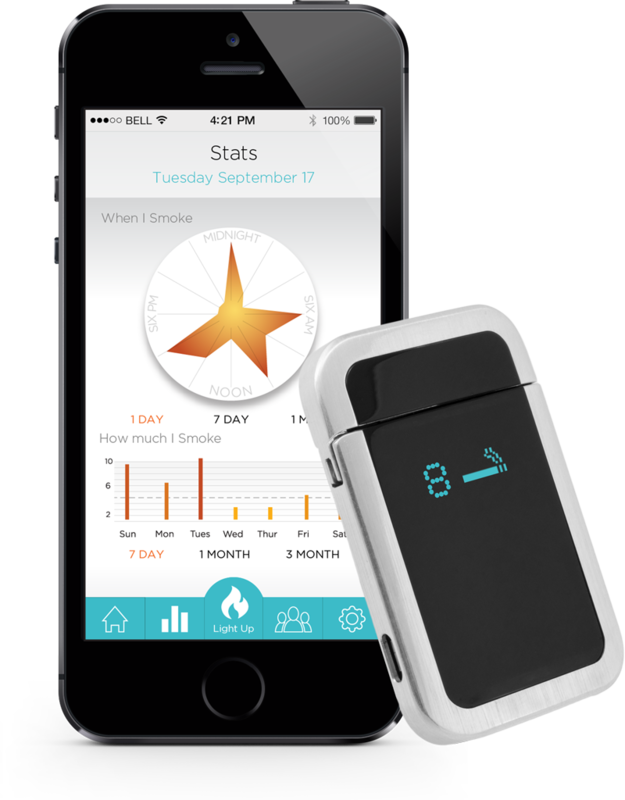 Matthew Goldenberg, DO Blog New Smoking Cessation Tool! My wife brought a really interesting new product to my attention. I want to begin by thanking her for sharing it with me... because now I can share it with you! Link to the article, with a 2 min video about the product: here. One of the hardest things about quitting smoking is finding the motivation to change your behavior. In many cases the pattern of smoking has been reinforced for decades or more. I have 8 top tips for quitting. They include things like changing your eating and drinking habits, washing your clothes and sheets and cleaning affected upholstery. Link to that post: here. This new product gives us another tool and is the first I have heard of to change something just as integral to smoking as the cigarette. The change is to your lighter! You could call it a smart lighter or a motivational lighter. Its features are groundbreaking. I feel that the features included could help you quit if you have tried other methods in the past without success. Counting and limiting the number of cigarettes you can light. Monitoring the money you have saved on cigarettes as you cutback and quit. Allowing you to limit the number of cigarettes per day or the interval between cigarettes. Displaying the number of cigarettes consumed that day and connecting via Bluetooth to your phone for additional personalized information. Enabling your phone to locate the lighter if lost. The lighter is expected to be released at the end of this year and expected to cost around $70. Even if you simply use it to motivate yourself to cutdown how much you smoke, it will quickly pay for itself in the cigarettes that you no longer need to buy. It might also be a tool to help you quit for good. I would recommend this to anyone thinking about quitting or who has struggled to quit in the past. I always recommend an all in approach and I think this can be another tool in our arsenal.